You can grab this cute Ten Frames pack HERE! 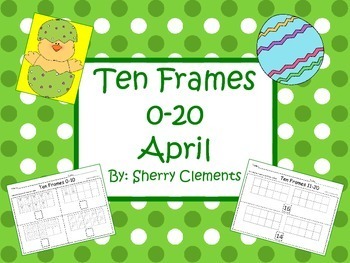 These ten frames include April graphics. Take a look at the PREVIEW to see every page included. I hope your students enjoy decomposing and composing these numbers 0-20.